Mini Rodini is a mid-priced children's clothing store — primarily featuring classic casual wear. ShopSleuth found 36 children's clothing stores similar to Mini Rodini, out of our database of 45,744 total stores. The following stores offer the closest match to Mini Rodini based on our proprietary matching algorithm. Submit your vote below to help us refine our Similarity Scores and rank the stores and brands most like Mini Rodini! Baby Gap presents stylish fashion collections for infants and toddlers. BabyGap offers a casual aesthetic through a moderately priced line of denim and cotton separates for baby. Gymboree is a specialty retailer in high-quality children's apparel and accessories. Gymboree's style is sophisticated while remaining comfortable, colorful and fun. Stylish selection of garments for boys and girls from birth to the pre-teen years. Specialists in baby wear and offering children’s wear for every occasion, including holidays and special occasions. Nautica is a global leader in water-inspired lifestyle apparel. Nautica Kids offers colorful separates, outwear and swimwear for boys and girls. OshKosh B'Gosh offers timeless, style-conscious fashion selections for boys and girls. OshKosh B'Gosh is rooted in quality, and re-imagines classic styles at a great value. Chasing Fireflies is an apparel and accessories retailer that celebrates childhood and parenthood. Chasing Fireflies carries clothing for children as well as custom accessories for women and men. CWDkids is a children's clothing and accessories e-etailer. It is a one-stop shop for sibling corodinates, seasonal themes, everyday wear and age appropriate styles in sizes infant to pre-teen. Flora and Henri is a high end children's and infant clothier. Flora and Henri designs simplistic and exquisite clothing that offers exceptional European quality and fabrics. Persnickety is fashionable clothing brand for toddler girls. Persnickety offers a wholesale line that allows mother's to find fashionable, affordable selections. Jack & Jill Children's Shoppe is a children's apparel and gift company. Jack & Jill Children's Shoppe offers a wide range of baby and children's apparel sizes 0-14 and carry top name brands. Pumpkin Patch is a world renowned online retailer for children's fashion. Pumpkin Patch offers a full line of trendy, comfortable separates for toddlers and kids. Catamini is a children's boutique that sells clothing and accessories for babies, kids, and tweens. Catamini is known for its free spirited sense of style and highly creative designs. Hanna Andersson dresses kids in fun. A leading retailer in children's apparel, Hanna Andersson uses butter-soft fabrics and energizing colors to keep kids happy and comfortable. Gap Kids presents stylish fashion collections for kids. 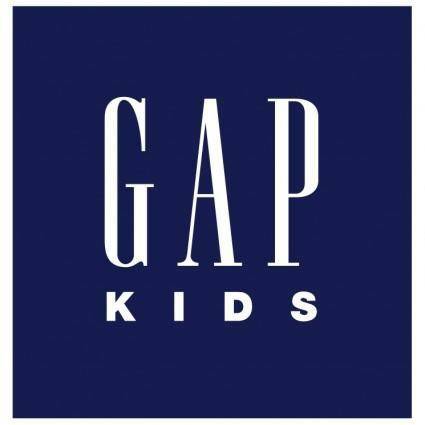 Gap Kids offers a casual aesthetic through a moderately priced line of denim and cotton separates for kids sizes 4 and up. The Children's Place offers a wide range of infant and children's clothes with sizes ranging from newborn to 14. The Children's Place offers fashionable quality clothing at affordable prices. NYC-based one-stop kids shop Cookies Kids offers school uniforms, clothes, furniture, toys and accessories. Items are trendy, covetable and affordable, all from popular international brands. Lolly Wolly Doodle is an online women's and children's clothing retailer. It offers personalized clothing and accessories that are designed and sewn with care, attention and love. The Best Dressed Child is a boutique online retailer of children's clothing, shoes, and accessories. They have a large selection of smocked dresses, and other designer childrenswear. Naartjie Kids is a distinctive, unique and functional clothing retailer for children. Naartjie offers apparel that is naturally soft, vibrant and colorful. Babies R Us is the nations leading retailer for infant necessities. Babies R Us offer cribs, furniture, car seats, strollers, formula, diapers, bedding, and clothing for preemies through size 5T. Mini Rodini is a Swedish children's brand that specializes in high end designs. Mini Rodini created the collection as a tribute to children, designing pieces inspired by imagination and wonder.